IDEAL FOR HEALTH CONSCIOUS PEOPLE OF ALL AGES. Nutritionists tell us that fresh, raw fruits and vegetables are an important natural source of many essential vitamins and minerals. Cooking or storing can easily destroy some of these nutrients. However, the vitamins, minerals, bioflavinoids and enzymes that are present in uncooked fruits and vegetables are the same as those found in their juices. Three 8-ounce glasses of juice can provide the major benefits of up to three pounds of fruit or vegetables. Unprocessed fruit and vegetable juices are appetite appeasing, yet low in calories. By drinking a glass of this juice before each meal, you'll reduce your desire for starches, sweets and other high-calorie foods. It's recognized that a diet low in fats, adequate in protein, carbohydrates and abundant in fresh fruits and vegetables, is an effective way to control weight. Here are some surprising facts from the U.S. Department of Agriculture: In the United States, vegetables and fruits supply us with 91% of our Vitamin C, 49% of our Vitamin A, and 20% of our iron-- yet less than 10% of our calories. And in pure juice form, these most nutritious of foods taste their best. We offer several style of juicers to meet your needs. Read this article to learn about the different styles of juicers. Manual Juicers - This style juicer is a dual stage single auger juicer that does not require electricity. It juices a wide range of produce from wheatgrass to hard vegetables and also will allow you to make nut butters and frozen fruit sorbets. Manual Press Juicers - Squeezes the juice out of the produce with pressure. It requires produce to be shredded in order to be pressed. Since the juice is pressed through a cheesecloth, the juice is virtually pulp free. It can be a slow process, since it is a manual process. The press can also be used to get further extraction from pulp from other style juicers. Click here for more information on this style juicer. Masticating Juicers - The Champion Juicer first grates, then masticates or chews the pulp to further break down the cell-wall structure, and then mechanically presses or squeezes the pulp to extract the juice. Click here for more information on this style juicer. Centrifugal Juicers - These juicers use a shredding disc and a strainer basket with straight sides to hold the pulp in the machine. It keeps the pulp in the machine and flings out the juicer much like a washing machine on the spin cycle. In general, we no longer recommend this out-dated design. Click here for more information on this style juicer. Centrifugal Ejection Juicers - These juicers use a shredding disc and a strainer basket with the sides of the basket that are slanted. This allows for the basket to be "self-cleaning", so there is no need to stop the juicer and empty it out. The pulp is ejected out of the machine, usually into a collection bin or basket. Click here for more information on this style juicer. Wide Feed Chute Centrifugal Ejection Juicers - Similiar to the Centrifugal ejection juicers above, but these units offer a 3" diameter feed chute so you spend less time cutting and more time juicing. There are advantages and disadvantages to this style juicer, which you can read more about here. Looking for the Jack Lalanne Power Juicer? Read our article about Wide Feed Juicers. Single Auger Juicers - These juicers works with a slow turning single auger that basically crushes the produce into the walls (or screen) of the juicer, and in the process extracts the juice. This style juicer in general is best for people that want to juice high amounts of wheatgrass, leafy greens and sprouts. Click here for more information on this style juicer. Low-Cost Vertical Single Auger - A revolutionary design in juicers. It takes the single auger style juicer and turns it vertically. The low cost machine is a solid design that will juice most fruits and vegetables. For people who want to make up to 32 ounces of juice in one juicing session. They have a shorter warranty length and can not perform other functions besides juicing fruits and vegetables. High-End Vertical Single Auger - A revolutionary design in juicers. It takes the single auger style juicer and turns it vertically. Will juice fruits, vegetables and leafy greens. Juices wheatgrass ok if it is pre-cut. Most do not have multi-purpose functions. Wide Feed Chute Vertical Single Auger - Similiar to the Vertical Juicers about but with the added convenience of a 3" wide feed chute that will save time and require minimal preparation on certain produce items. Will juice fruits, vegetables, and leafy greens. Will juice wheatgrass ok. Will make sorbets, nut milks, and nut butters. Twin Gear Juicers - These juicers have two gears that basically shreds then presses the juice out of the produce. The screws turn at a low rpm. Click here for more information on this style juicer. Hydraulic Press Juicers - Two step Juicer that gets the maximum yield out of fruits and vegetables such as fruits and root vegetables. First step is you grind the produce into a juice-filled pulp. 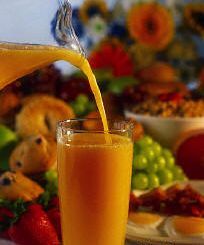 The second step is putting the pulp in a hydraulic press with 2.5 tons of force to extract the highest volume of juice. Click here for more information on this style juicer.